Columbus Crew SC and Real Salt Lake advance on to the Conference semi finals. The second and final day in the knockout round of the Audi 2018 MLS Cup playoffs took place last night as four teams looked to try and book their places in the Conference semi finals. 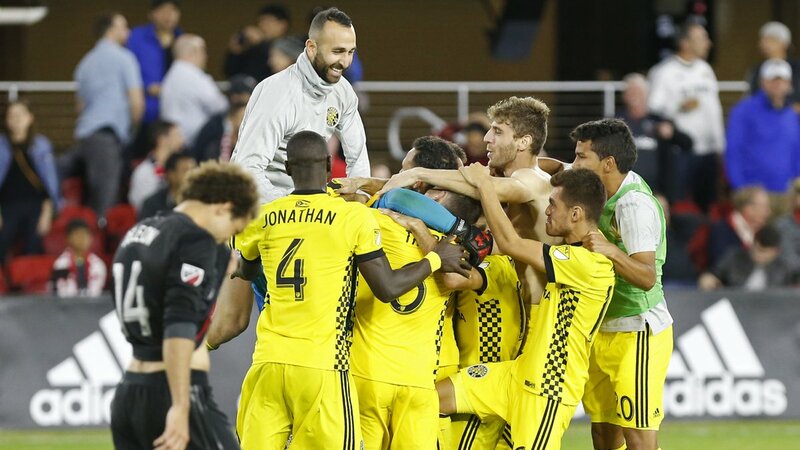 It took penalties to separate Columbus Crew SC and D.C. United after a thrilling encounter in regular time. After a tense start by both teams in the first 20 minutes, D.C. took the lead in the 21st minute thanks to Frederic Brillant who finished from close range after Zach Steffen had failed to punch the ball away far enough. 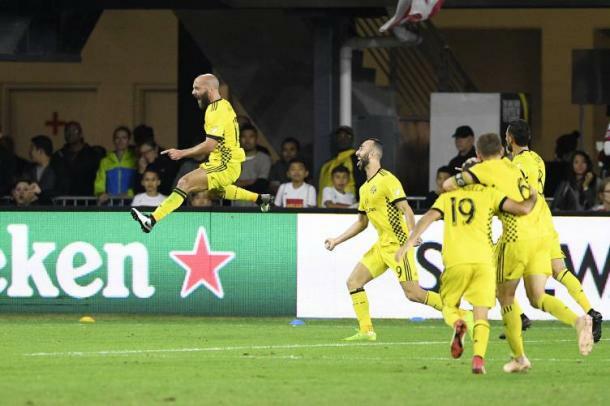 It did not take long for Columbus to draw level as ten minutes later, Federico Higuaín pounced on a loose ball inside the box and thumped the ball home from close range. Both Steffen and Bill Hamid then had to produce good saves to keep their teams in the tie and the score remained at 1-1 when the whistle blew for the end of normal time. The game broke open again in the 96th minute when Higuaín put Columbus ahead but Nick DeLeon made sure the game would go to penalties when he equalized for D.C. United in the 116th minute. After the penalty kicks went on past the usual five kicks per team, DeLeon unfortunately missed the final penalty of the game, sending Columbus through and D.C. out of the playoffs. Columbus advance to the Conference semi finals in consecutive season and will now travel to New Jersey to play the New York Red Bulls. The Red Bulls have been in great form leading up to the playoffs so this two-legged tie between them and the Crew could prove to be a fantastic match up. Los Angeles FC played in their first ever playoff match yesterday but could not win in front of their own fans and fell out of the playoffs thanks to a 2-3 loss to Real Salt Lake. The opening goal of the match came in the 21st minute as Damir Kreilach took a touch to control the cross on his chest and then volleyed in well into the corner of the net. Danilo Aparecido da Silva ("Danilo Silva") nodded powerfully home in the 31st minute from a free kick to put LAFC back into the game. Christian Ramirez​ then put the home side up by a goal in the 54th minute but Kreilach scored RSL's response with a great scissor kick from outside the area three minutes later. The winning goal came in the 69th minute as Walker Zimmerman had the ignominy of scoring an own goal as he deflected Jefferson Savarino's effort past his goalkeeper. LAFC had chances to bring themselves back into the game but unfortunately for them, Nick Rimando was at his very best and he kept his team ahead until the final whistle. During the match, Rimando picked up an injury which makes his participation in the semi finals a doubt when RSL travel to face Sporting Kansas City in a few days. It was already going to be a difficult ask for RSL but now with Rimando possibly not being available, the job becomes even bigger for RSL.